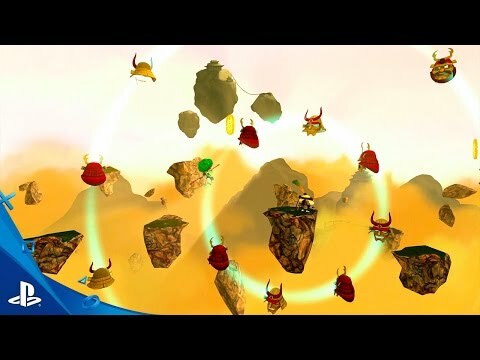 Kyurinaga's Revenge is a 3D-Platforming game with lots of action, challenges and puzzles. You will need to combine the abilities of our two heroes in order to free Japan once and for all. Kyurinaga's Revenge is a 2D-based game with lots of platforming, action and puzzles. Battle alongside our two heroes: The samurai Kaoru Tamanegi and the street fighter Broccoli Joe! In this new adventure, they will have to overcome platforms levels, fights, bosses and more complicated puzzles. Timing and endurance will be the key to defeat evil permanently. Kyurinaga's war machine took a decisive blow right after our heroes blew up The Forge, the Shogun's main source of political power. Beaten but not defeated, Kyurinaga managed to escape with the remains of his army, swearing revenge on the two rebels who dared defy him. Months after that, Kaoru and Broccoli are leading an improvised revolution for a better tomorrow against the Shogunate, alongside other rebels and deserted soldiers. 3D platforming with high doses of action. Lots of challenging puzzles and frenetic combat. You can play solo or with a friend in a local co-op mode. A 2D cartoonish and engaging living world, set in the Feudal Japan. ® 2016 Recotechnology all rights reserved.